The Lurch Spirali Vegetable Spiralizer will quickly and easily create fine spaghettis, spirals and ultra-thin slices from your vegetables. This gadget comes with 3 very sharp blade attachments for different depending on your use. 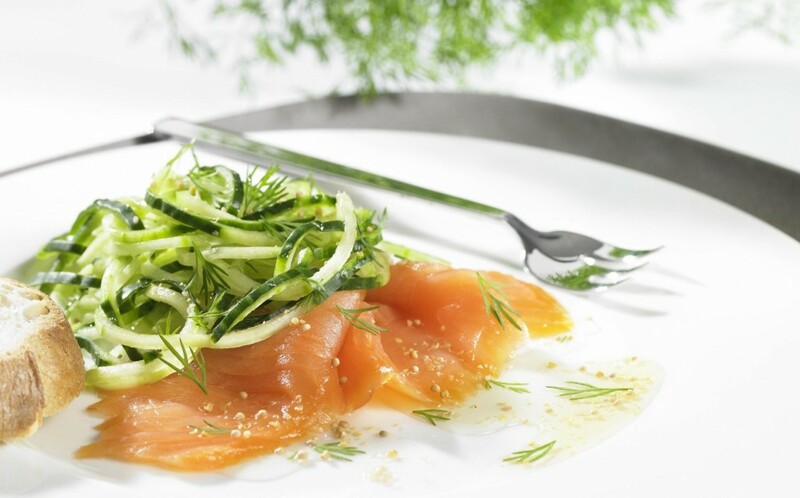 It is great for creating nice looking salads, and cutting vegetables, really useful if you are on a healthy eating diet or wish to get your children a bit more involved with the cooking. The Spiralizer is suitable for potatoes, carrots, cucumbers, zucchini, cabbage, onions, celery, radish, beetroot, paprika, aubergine, apples and pears just to name a few. Just ensure you have a large bowel to catch it all as it comes off. The gadget itself was easy to set up and although the instructions are not great it was quite simple to see what you needed to do and how to change the attachments. The device is very sturdy and well built with rubber feet on the base to prevent any movement when in use. After use it is quick and easy to wipe down and the blades are made from stainless steel and can be popped in the dishwasher. 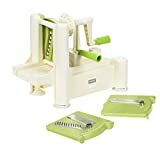 The Lurch Spirali Vegetable Spiralizer comes in a cream and green colour, and is made from plastic, although it looks good and will fit into most kitchens it would be great if there was a stainless steel version which would look great and be very strong and sturdy.